Thousands of organizations use Amazon Web Services (AWS) to host their applications and manage their data in the cloud. The advantage of geographic availability, scalability and reliability make AWS a great choice. Due to recent and more frequently-occurring breaches in security in a number of environments, It is necessary for us to take data protection strategy seriously. We all can agree that Information security is always of paramount importance, whether data is stored on-premises or in the cloud. In this article we will go through AWS KMS and how to use KMS in our existing AWS account. AWS Key Management Service (AWS KMS) is a managed service that makes it easy for us to create, control, rotate, and use encryption keys. It also centralizes key management, with one dashboard that offers creation, rotation, and lifecycle management functions. Customer Master Keys (CMKs) or Master Encryption Key(MEK) are used to generate, encrypt, and decrypt the data keys(DK) that you use outside of AWS KMS to encrypt your data. This strategy is known as envelope encryption. CMKs are created in AWS KMS and never leave AWS KMS unencrypted. They can only be accessed through AWS KMS. The master keys are protected by FIPS 140-2 validated cryptographic modules. Data keys are encryption keys that you can use to encrypt data, including large amounts of data and other data encryption keys. You can use AWS KMS customer master keys (CMKs) to generate, encrypt, and decrypt data keys. 1. First of all a Customer Master Key is created in KMS console. 2. Then to create a data key, AWS KMS uses the CMK to generate a data key. The operation returns a plaintext copy of the data key and a copy of the data key encrypted under the CMK. 3. Now we have both the Master Key and Data Key, we can use the data key to encrypt the data. 4. After using the plaintext data key to encrypt data, we remove it from memory and can store the encrypted data key with the encrypted data so it is available to decrypt the data. 1. To decrypt your data, pass the encrypted data key to the Decrypt operation. 2. AWS KMS uses CMK to decrypt the data key and then it returns the plaintext data key. 3. Use the plaintext data key to decrypt your data and then remove the plaintext data key from memory as soon as possible. Envelope encryption is the practice of encrypting plaintext data with a data key, and then encrypting the data key under another key. AWS KMS uses MEK to encrypt the Data Key(DEK). Hands On Lab: What we are going to do? We will be Creating a Customer Master Key in AWS-KMS console and will try to upload file on S3 Using KMS Master-Key Encryption. Then try to access the encrypted file. 1. First of all login to AWS Management console and then go to IAM Dashboard and select Encryption Keys, this will open AWS-KMS console. 2. In AWS KMS console select the Region and click on Create Key. 3. Create an Alias for KMS Master Key and add a meaningful tag. 4. Define Key Administrative and Usage Permissions. 5. Review the Policy and click on create. 6. You can see in the KMS console a new Master Key is created. 1. Go to S3 console in AWS and click on create a Bucket. 2. Specify the Bucket name and Region and click on create. 3. Once the bucket is created try to upload some data in next step. 1. Click on Upload to upload file in S3 bucket created in previous step. 2. Select the file and in the next step, define who can access the bucket and access permissions. 3. In the next step choose the storage class and Encryption method. 4. In Encryption method select Encryption using AWS KMS master-key, and select the Master-Key generated in the earlier step for data encryption. 5. Review and click on Upload. Once uploaded verify the object properties. 6. Now try to access the uploaded data by clicking on download. You will see that you are able to download the file without any issue. 1. Now let's disable the Master Key from KMS console and check again. 2. Now try again to access the uploaded file in S3 after disabling the MK. 1. To enable the Master Key again go to KMS console and enable the MK. Step-5: Try to access the S3 object with different IAM user. 1. Try to access the S3 bucket uploaded file with a different IAM user who does not have Usage access to KMS Master Key. 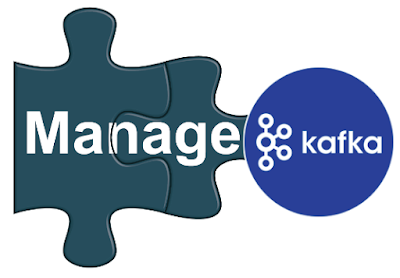 KMS is a fully managed service because it automatically handles all of the availability, scalability, physical security, and hardware maintenance for the underlying Key Management Infrastructure (KMI). With no up-front cost and usage-based pricing that starts at $1 per Customer. Master Key (CMK) per month, KMS makes it easy for us to encrypt data stored in S3, EBS, RDS, Redshift, and any other AWS service that’s integrated with KMS. As we all know that how critical are Logs as a part of any system, they give you deep insights about your application, what your system is doing and what caused the error. Depending on how logging is configured logs may contain transaction history, timestamps and amounts debited/credited into client's account and a lot more. On an enterprise level application, your system goes to multiple hosts, managing the logs across multiple hosts can be complicated. Debugging the error in the application across hundreds of log files on hundreds of servers can be very time consuming and complicated and not the right approach so it is always better to move the logs to a centralized location. Lately in my company I faced a situation which I assume is a very commonly faced scenario in Amazon's Cloud where we might have to retain application logs from multiple instances behind an Auto Scaling group. Let's assume an example for better understanding. Suppose your application is configured to be logging into C:\Source\Application\web\logs Directory. The Application running has variant incoming traffic, sometimes it receives requests which can be handled by 2 servers, other times it may require 20 servers to handle the traffic. When there is a hike in traffic, Amazon Ec2's smart AutoScaling Group uses the configuration and scales from 2 server to many (According to ASG Policy) and during this phase, the application running in the newly launched Ec2's also log into C:\Source\Application\web\logs .... but when there's a drop in traffic, the ASG triggers a scale down policy, resulting to termination of instances, which also results in deletion of all the log files inside the instances launched via ASG during high traffic time. Faced a similar situation ? No worries, now in order to retain logs I figured out an absolute solution. SSM Agent is installed by default on Windows Server 2016 instances and instances created from Windows Server 2003-2012 R2 AMIs published in November 2016 or later. Windows AMIs published before November 2016 use the EC2Config service to process requests and configure instances. If your instance is a Windows Server 2003-2012 R2 instance created before November 2016, then EC2Config must be upgraded on the existing instances to use the latest version of EC2Config. By using the latest EC2Config installer, you install SSM Agent side-by-side with EC2Config. This side-by-side version of SSM Agent is compatible with your instances created from earlier Windows AMIs and enables you to use SSM features published after November 2016. IAM instance role: Verify that the instance is configured with an AWS Identity and Access Management (IAM) role that enables the instance to communicate with the Systems Manager API. In the navigation pane, choose Roles, and then choose the existing role you want to associate with an instance profile for Systems Manager operations. On the Attach policy page, select the check box next to AmazonEC2RoleforSSM, and then choose Attach policy. Now, Navigate to Roles > and select your role. IAM instance role: Verify that the instance is configured with an AWS Identity and Access Management (IAM) role that enables the instance to communicate with the S3 API. On the Attach policy page, select the check box next to AmazonS3FullAccess, and then choose Attach policy. with a IP and date-stamp to recognize and identify the instances and where the logs originate from later. Make sure that the s3 bucket name and –region and source of log files is changed according to the preferences. Check your S3, Bucket for seeing if it has synced logs to there. Now, because the focus of this blog trigger a Powershell Script in the instance using SSM which syncs the logs to S3 Bucket so we will try running the script through SSM > Run Command. Select and run of the instances having the above script and configuration. The output should be pleasing. The AMI used by the ASG should have the above configuration (Can be archived via created a ami from ec2 having above config and then adding it into Launch Configuration of the ASG). The ASG we have here for the tutorial is named after my last name : "group_kaien". Now, the last and the Most important step is configuration theCloudwatch > Event > Rules. Navigating to Cloudwatch>Event>Rules: Create Rule. Wait for the AutoScaling Policies to run such that new instances are created and terminated, with above configuration. The terminating instances will sync their logs S3 before they are fully terminated. Here’s the output on S3 for me after a scale down activity was done. Now with this above, we have learned how to export logs to S3 automatically from a dying instance, with the correct date/time stamp as mentioned in the termination.ps1 script. Hence, fulfilling the scope of the blog.